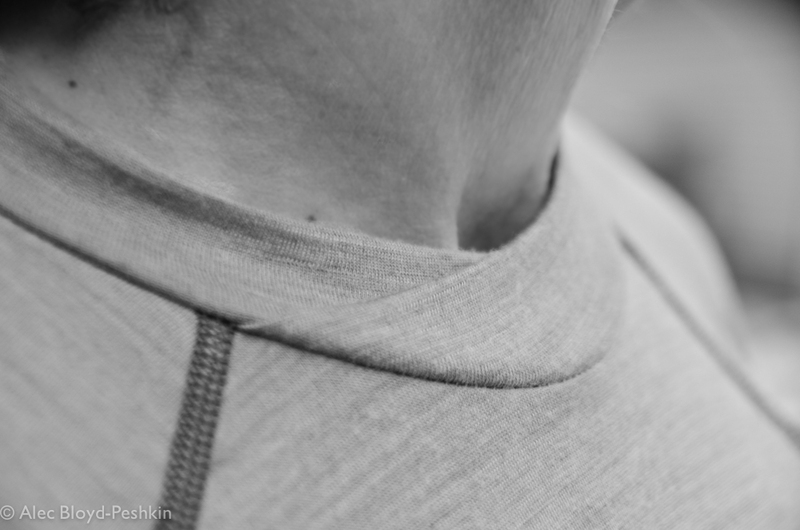 Over the past several years, we've moved away from polypropylene and polyester thermal layers and toward merino wool, which feels great, insulates even when wet, effectively wicks moisture away from our skin, and doesn't get stinky like synthetics. But the wool tops and pants we own aren't designed for paddling, and they have seams that can chafe when we spend hours on the water. 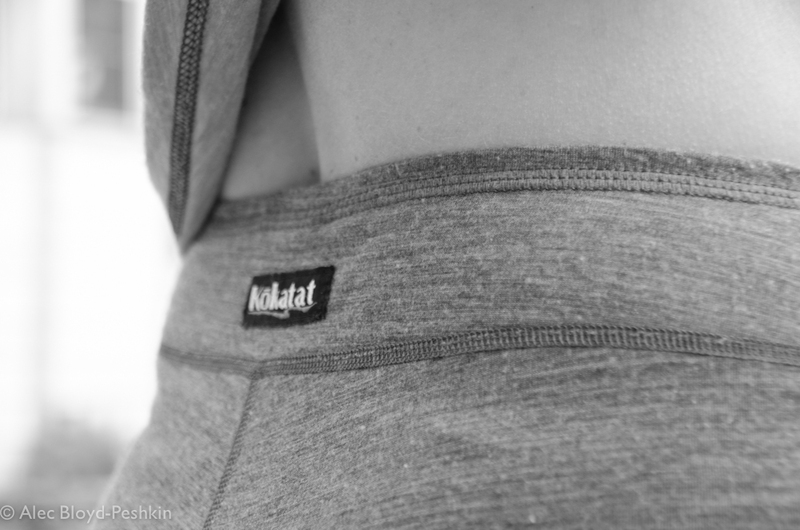 So when we heard that Kokatat was going to make paddling-specific merino wool insulating layers, we were excited. The new WoolCore garments are made of a 50/50 blend of merino wool and polyester. They merino comes from non-mulesed New Zealand sheep; the polyester is added to enhance durability and speed drying time. All of the cutting as sewing are done in California. We each got a pair last November. We were surprised by how light they were and wondered whether they would provide sufficient warmth. But we were impressed with the fit. The arms are slightly shorter than usual to keep them from extending under dry suit gaskets--a feature that worked well for Sharon but not for Alec, whose shoulder-width to sleeve-length ratio is unusually high. The back is slightly longer, providing good coverage while seated. The waist band on the women's pants are especially nice--a wide, yoga pant-like band, ideal for people (like Sharon) who don't like an elastic band around their waist. Best of all, there are no seams on the shoulders to cause chafing under a PFD, or under the armpits to cause chafing during repeated paddling motion. This is achieved by the large gussets under the armpits. The jersey-style neck falls below the dry suit gasket. The large gussets under the arms ensure no seams where they can cause chafing. The wide, flat waistband on the women's pants is especially comfortable. Shirts are available in men's S through XXL and women's S through XL, and in long and short sleeves. Pants are available in men's and women's sizes S through XL. Color choices are grey or charcoal. Fabric weight is 140 grams per square meter, which is 10 grams lighter than the lightest versions offered by Ibex, Icebreaker and Smartwool, but 10 grams heavier than Kokatat's all-synthetic silk weight Basecore base layer. Price is comparable to equivalent weight merino wool products: $74 for pants and long-sleeve shirts; $70 for short-sleeve shirts. * What we wear now is an occasional series in which we highlight paddling clothing that works. Looks really cool and comfortable. And the price is very reasonable.